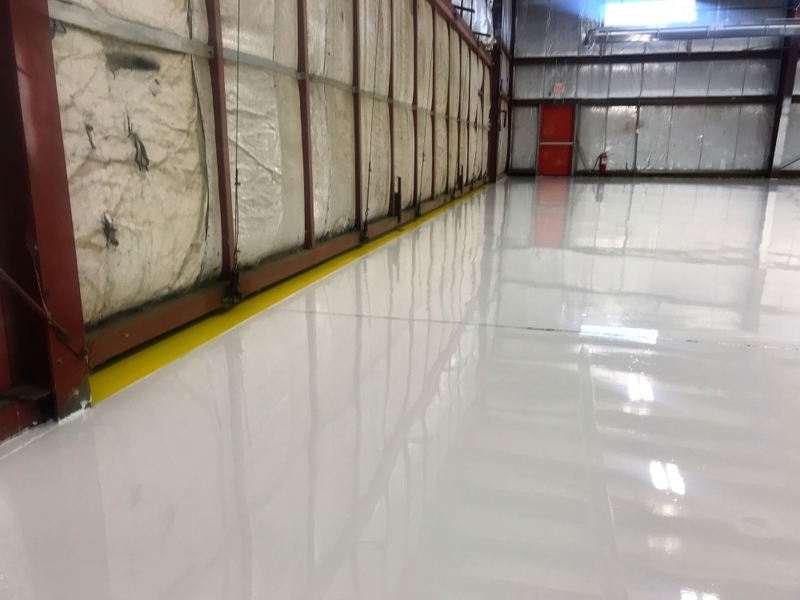 The aircraft hangar floor was easily stained, and difficult to keep clean. 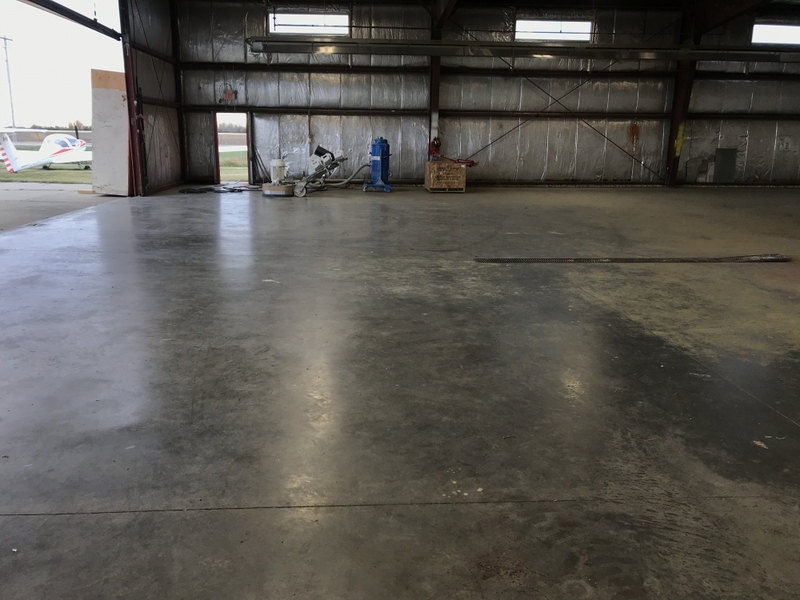 Over the years the floor had become dull and had started to “dust”. 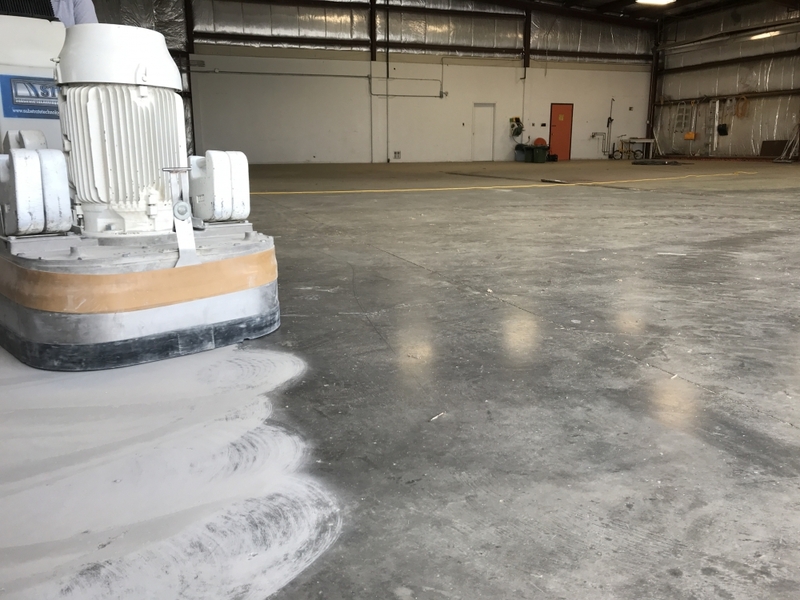 Mechanically diamond grind the concrete surface and repair all cracks, defects and holes. 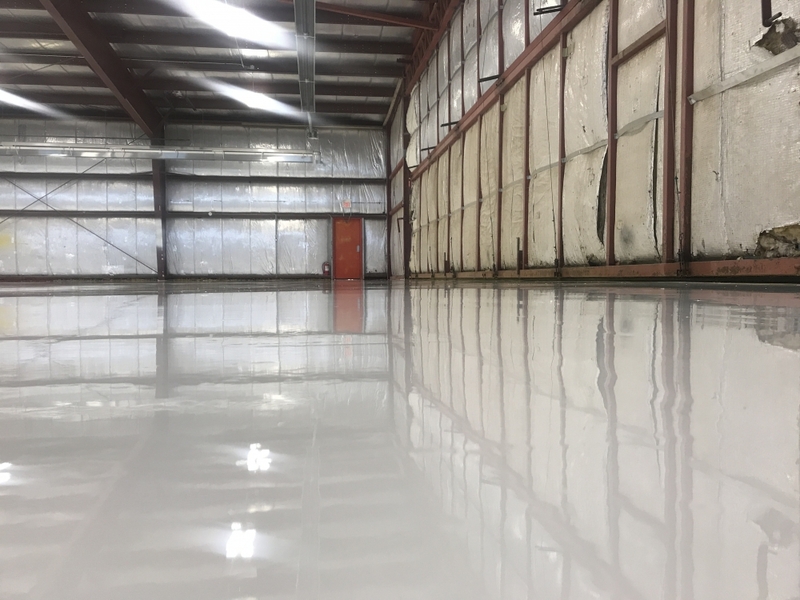 Install a deep penetrating epoxy primer followed by a high build of 100% solids epoxy in brilliant white. 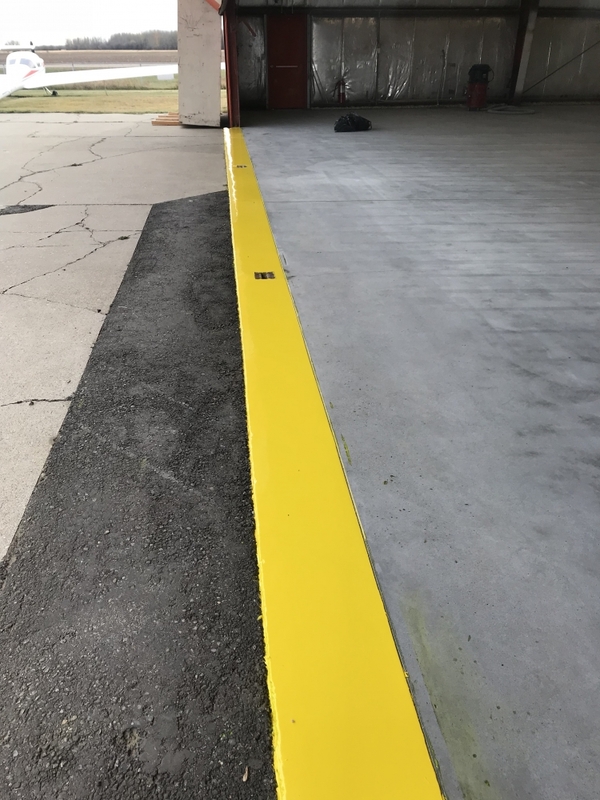 We added a yellow strip of Polyaspartic where the overhead door meets the concrete to assist with aircraft traffic and safety coming in and out of the hangar. 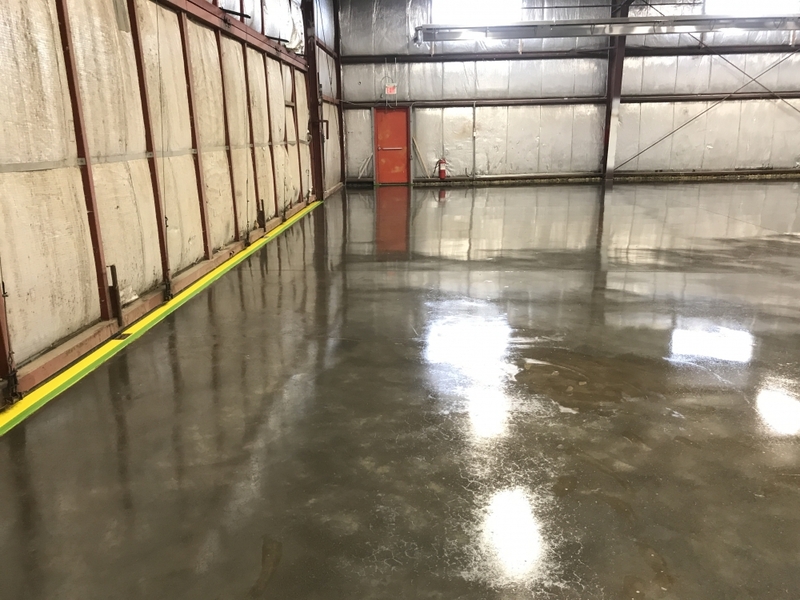 The new floor is stain resistant, chemical resistant, easy to maintain and clean. 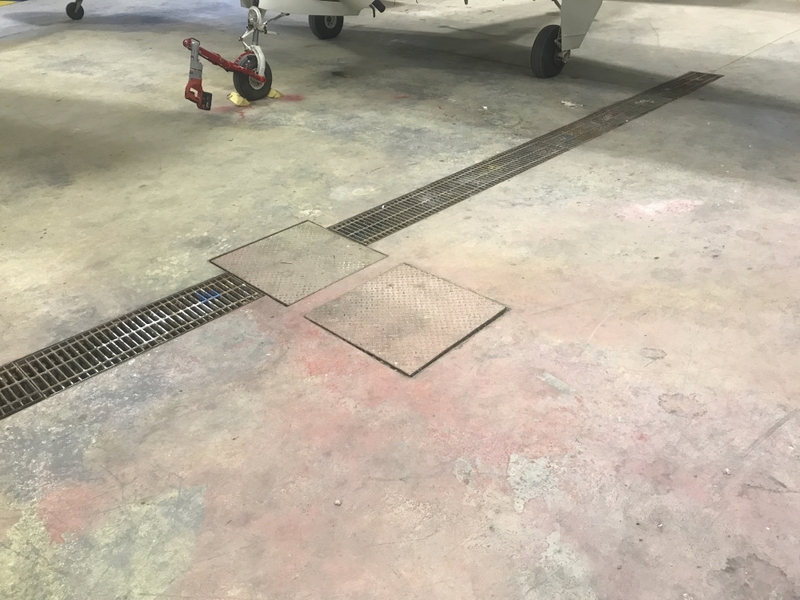 A bonus for our client is the ability to see the reflection of his aircraft fuselage in the floor and easily spot potential problems.